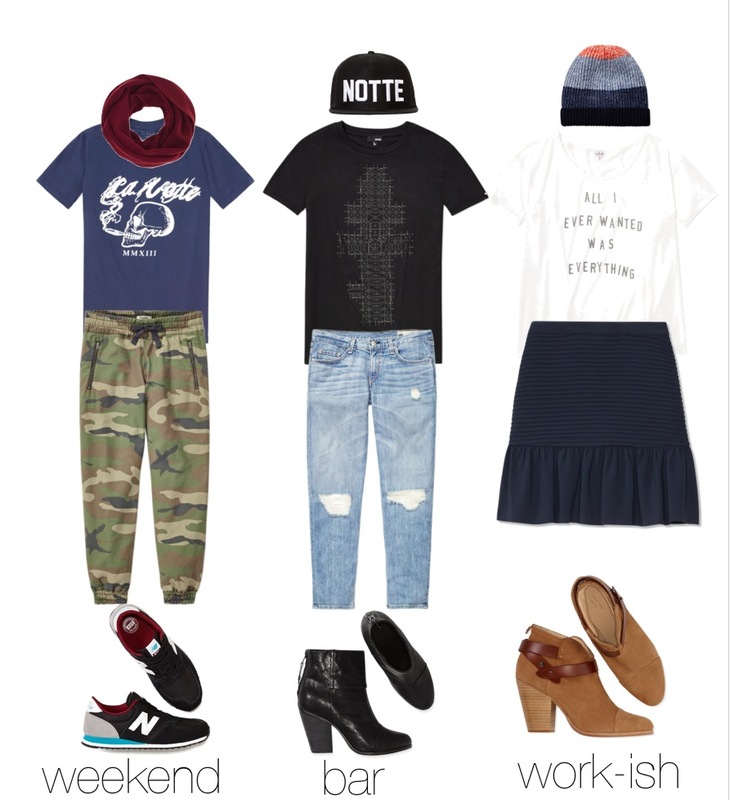 Graphics tees can do so much for an outfit. They have the power to instantly dress down a formal bottom, they can add style to an otherwise boring outfit, and increase your cool factor with the right vintage rock band reference and/or ironic saying. The Canadian retailer Aritzia is typically known for their wearable translation of high fashion shapes and use of high quality silky fabrications. 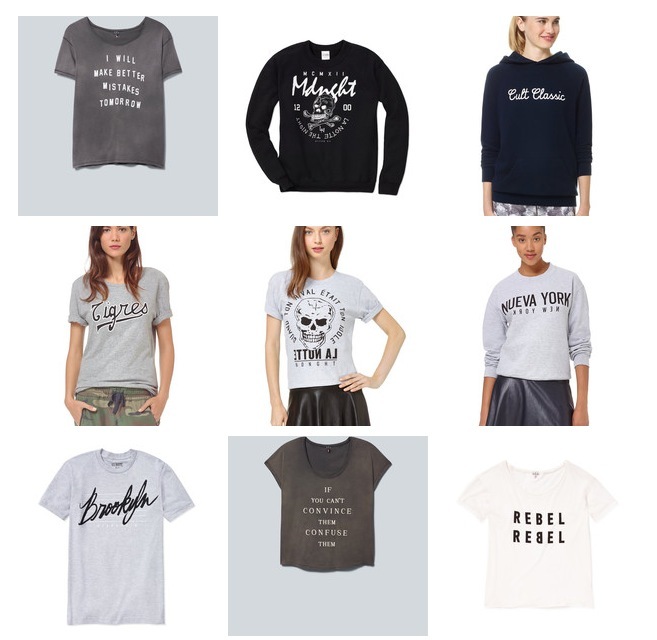 However, they have been bringing some very cool, edgy graphic tee’s into the mix lately. Love how they merchandise back to the more sophisticated pieces in their assortment.